If you like the outdoors, an ATV is a great recreational vehicle. 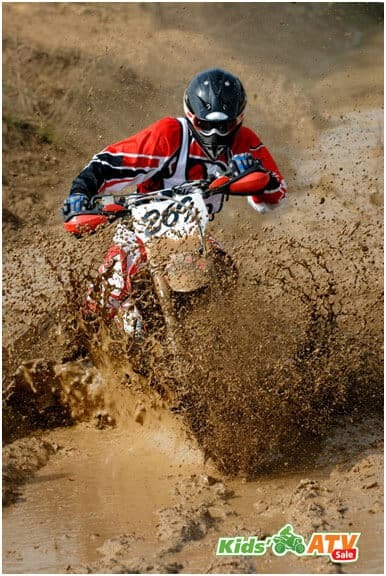 Relatively easy to operate, ATVs do not have the same danger of tipping as dirt bikes. Why do you want a four-wheeler? What do you plan to do with it? 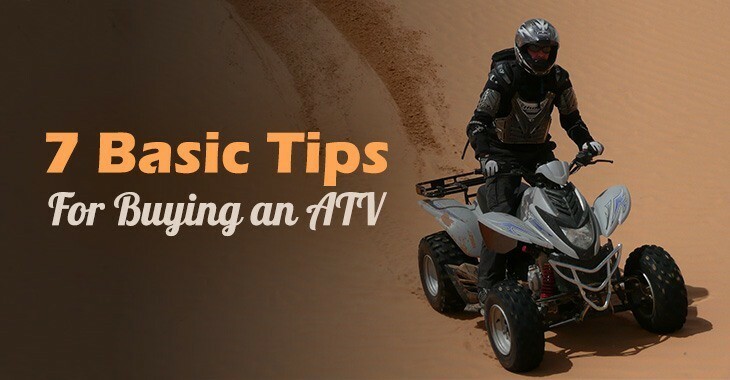 Your intended use and your level of expertise may also be big factors in choosing your first ATV. For children under eleven, an engine no bigger than 70cc is recommended. Those 12 to 15 years of age might ride an ATV with a 70cc to 110cc engine. Beginners who are teens or older should consider a 125cc to 250cc engine. If you are an intermediate to advanced rider, you might consider engines over 250cc. Simply explained, the suspension determines the way your ATV handles in various environments and how able it is to handle a task. ATVs come with either single axle or independent rear suspension (IRS). Single axle machines are great for jobs like plowing snow, towing another vehicle, or riding smooth trails. If you expect your AT to handle rough terrains like large rocks, logs, or stumps then you’d better consider one with IRS. Electronic Power Steering (EPS) significantly reduces the physical strength needed to steer your ATV. EPS helps to reduce rider fatigue. It is especially useful for trail and off-trail riding. Do you plan to ride your ATV for long periods of time? 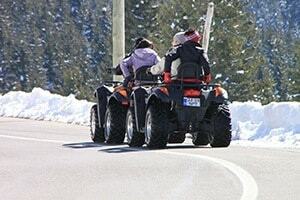 Will you be using your ATV for things like plowing snow? EPS is a real advantage in these scenarios. 5. Two or Four-Wheel Drive? This is less of a concern if you are buying a new machine. Most ATVs now come equipped with four-wheel drives. It is a fuel saver, allows greater traction, and makes such jobs as snow plowing and towing easier. Four-wheel drive is also a must for challenging terrain. Most ATVs offer the option to switch between two and four-wheel drive. A fuel injected ATV’s fuel-to-air mixture is controlled electronically. The result is easier start-ups and better throttle power response. If you plan to start your ATV often and/or you will use it during winter, a fuel-injected engine is a way to go. If you are thinking about buying an ATV, the above information will be useful. For great outdoor fun for children and adults, ATVs offer relatively safe riding enjoyment. Proper gear including a good helmet and instruction on how to operate your ATV safely is highly recommended. As with many other sports, riding an ATV is best done as a group activity. That way riders can safety one another. If you are considering ATV riding as a couple, the ATV you choose will also need to provide comfortable seating for two riders.